ELECTRIC HOISTS, ELECTRIC OVERHEAD CRANES, JIB CRANES, GOODS LIFTS, CONICAL ROTOR SQUIRREL, CAGE INDUCTION MOTORS. We are a company dedicated for past 25 years in the field of engineering with an immense experience in Designing and Manufacturing of quality products like Electric Wire Rope Hoists, E.O.T. Cranes and other Material Handling equipments. HOIST-O-HIND is known for its products which are researched and developed under one roof. Key feature of our success is our Electric Wire Rope hoists which are exclusively manufactured by us, has incorporated all features unique to world renowned make of “HOIST-O-MECH” Hoists. Our conical rotor motor is 100% failsafe, along with our electro-mechanical conical disc type brake which are one of the most unique and salient features of our Hoists. 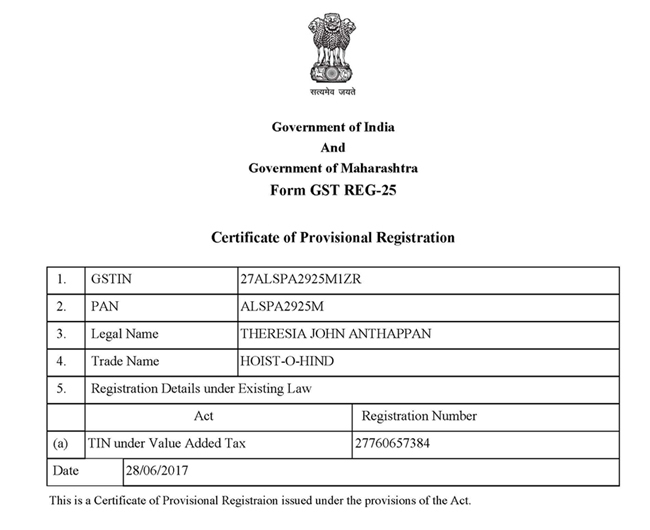 Industrial giants Like BHEL, Vedanta group, Viraj Profiles Ltd, Nitin Castings, India Gov Ordinance factory and many such company's are our premium and valued customers being served for years. Our hoists are exported to many countries. Our dedicated and quality services ensure and reward us with repeat orders from such reputed clients. Our Team at HOIST-O-HIND is dedicated with commitment to offer you the best services right from research and development to designing up to commissioning of all our products, thus ensuring long life of the products. 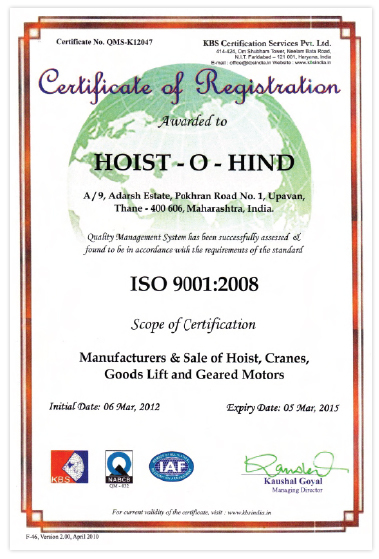 HOIST-O-HIND quality systems are integral to all operations. Procurement, manufacturing, administration and product service functions are conducted within a comprehensive quality assurance system. 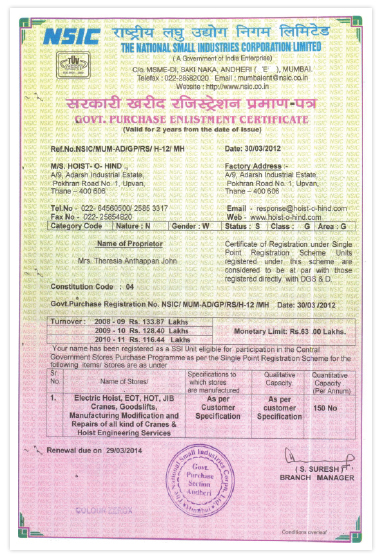 As a result HOIST-O-HIND's manufacturing facilities and technical manual meet all quality standards. Documentation control is key component of HOIST-O-HIND overall quality system. The requirements of material certificates, testing, drawing and other essential data are clearly identified and documented as per quality systems of ISO 9001/ 2008 certification.